I’m posting this recipe in celebration of the fact that yesterday my blog turned one! I can’t believe that it’s been a whole year since I published my first post but in all honestly I’m so glad that I did. I’m beyond grateful for the opportunities that the past year has given me, most importantly for the amazing people that I’ve been able to meet and whose friendship is now invaluable to me. The blogging community has allowed me to connect with so many like minded people and I’m so proud to now call some of them my best friends. At a time when I felt so alone, blogging along with Instagram was the only thing able to motivate me to recover and it’s helped me more than I ever thought it would. Opening up about my own experiences and being honest about the way I feel has helped massively in terms of my own recovery; I’ve gained so much more confidence and feel less anxious to the point where I’ve even managed to attend events and travel to London on my own – something which at this time last year would have been an impossible task. And whilst I know that my following is relatively small in comparison to lots of other people, my pictures or content are nowhere near as good and I’ve by no means been anywhere near as successful, I’m still proud of myself and grateful for every view that I get! Taking the time to write a post or create a recipe and knowing that people have enjoyed it or that it’s helped at least one person is honestly so rewarding. Seeing recreations of my recipes on Instagram never fails to put the biggest smile on my face and the fact that I get views from all over the world astounds me! 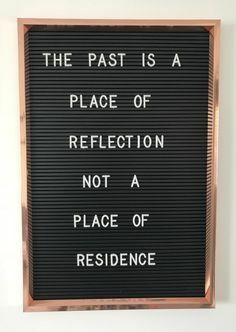 I also want to take this new year as an opportunity to get back on track, sort my blog out and start posting regularly again! 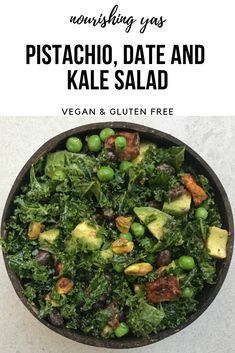 I want to continue with the same ethos that I’ve always had – to create nourishing recipes using wholefood ingredients that are beneficial for both mental and psychical health, with a stress on the ingredients used rather than macros or calorie counting, along with recovery, nutrition and lifestyle posts too! I can’t wait to document the rest of my journey towards health and happiness and in just six weeks time I start studying to be a nutritional therapist! In the mean time if you have any post requests then feel free to let me know and from the bottom of my heart, thank you so much to everyone who has helped or supported me over the past year – whether you’ve read every single one of my posts, just clicked on one or this is your first ever visit, it really does mean so much! The Best Chocolate Protein Oats Possibly my favourite recipe and trademark breakfast, it’s no surprise to me that this is my most popular post. 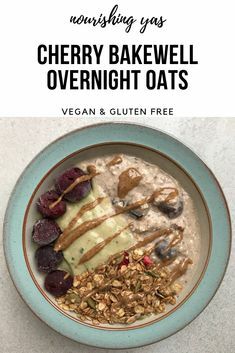 Thick, creamy oats with a decadent chocolate taste and over 30g plant based protein – I have this for breakfast at least twice a week and in all honestly, my obsession with this recipe is never ending. Anorexia Recovery: One Year On One of the main reasons for starting this blog was to open up about my struggle with and recovery from anorexia and this post that I wrote reflecting on my first year in recovery is one that I’m most proud of. The response that I got on Instagram was overwhelming and if this post helped at least one person, or showed them that recovery is anyway possible then I’m more than happy. Sweet Potato Burgers Another of my trademarks has got to be a good homemade vegan burger and it’s one of the meals that I get most excited about! These burgers contain the simplest ingredients and are perfect sandwiched between a thick layer of creamy hummus, mashed avo and a homemade nutty bun. Oh and don’t forget the sweet potato wedges! Salted Caramel Protein Bars Featuring my favourite Vivo Life Perform protein, these bars are the perfect after dinner or post workout treat. 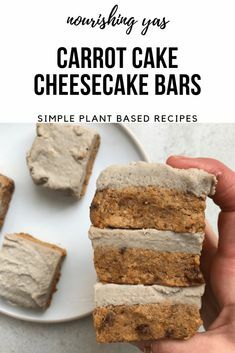 Unlike traditional salted caramel they boast a low sugar content, pack in a generous 11g protein per bar and they only take six ingredients to make. Hidden Greens Chocolate Protein Nice Cream A healthy breakfast that tastes like dessert and packs in 3 servings of fruits and veggies along with 25g plant based protein? Yes it is possible! 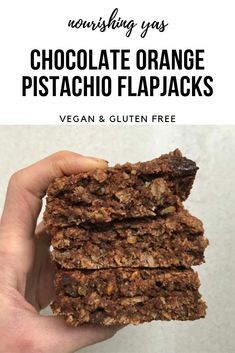 This one is perfect for satisfying all of those 7am chocolate cravings (trust me, they’re a real thing) whilst containing wholefood ingredients that will keep you energised through until lunch. Where a celebration is involved, there’s always good food too and what better way to celebrate my blogs birthday than with a gooey peanut butter chocolate brownie? Peanut butter and chocolate are two of my all time favourite foods, so combining them in this decadent dessert is my idea of complete and utter heaven! A gooey layer of peanut butter caramel sandwiched between a nutty chocolate brownie and rich chocolate ganache – I think this might just be my best recipe yet! Line a small baking tray with grease proof paper and pre-heat the oven to gas mark 5. Add the peanuts to the tray and roast for 8-10 minutes until golden brown and fragrant. Once cooled, add the peanuts to a blender or food processor and pulse until they are completely ground. Add the remaining brownie ingredients to the blender and mix until combined. You’ll know it’s ready when the mix starts to come together and form a ball. When the mix is ready, press down into the bottom of a small baking tray and place in the freezer to set whilst you make the caramel. Add the medjool dates, peanut butter and water to the blender and blend until a smooth caramel forms, scraping down the sides as needed. Remove the brownie base from the freezer and using the back of a spoon, evenly spread the layer of caramel over the base. Return to the freezer for at least an hour to allow the caramel to fully set. Once the caramel is almost ready, you can start to make the ganache. 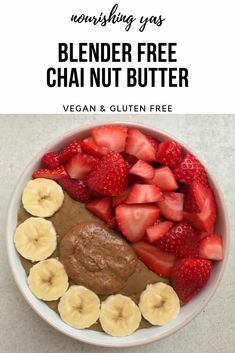 Combine the coconut oil, maple syrup and cacao powder in a small pan and set over a low heat until the oil is fully melted and everything is mixed. You want it to be quite thick so add a touch more cacao powder if required. Using the back of a spoon, spread the ganache layer evenly over the caramel and return to the freezer to set for at least an hour. Once the brownies are fully set, remove from the freezer and allow to thaw for a minute before cutting into 8-12, depending on your desired size. Store in the fridge until ready to eat – they’ll keep well here for a week but I like to freeze mine so that they last a couple of months. If doing this, simply transfer to the fridge to thaw an hour or so before eating! ‘Raw’ – Whilst this recipe isn’t strictly raw due to the roasted peanuts, nut butter and melted oil, I’ve labelled it so simply to differentiate between the fact that the brownies themselves are not baked and the recipe is made using mainly raw methods. Alternatively you can leave the peanuts raw, however I roasted mine to heighten their flavour.